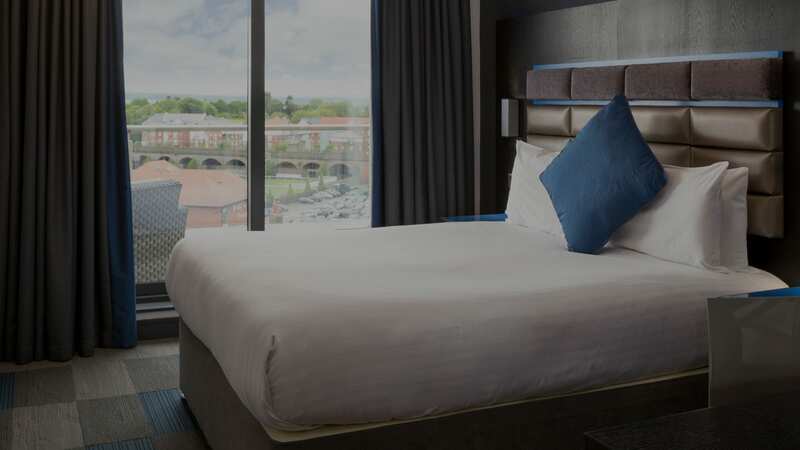 Roomzzz Chester is one of the few hotels in Chester city centre with very limited parking available onsite (£10 a night, subject to availability on arrival). 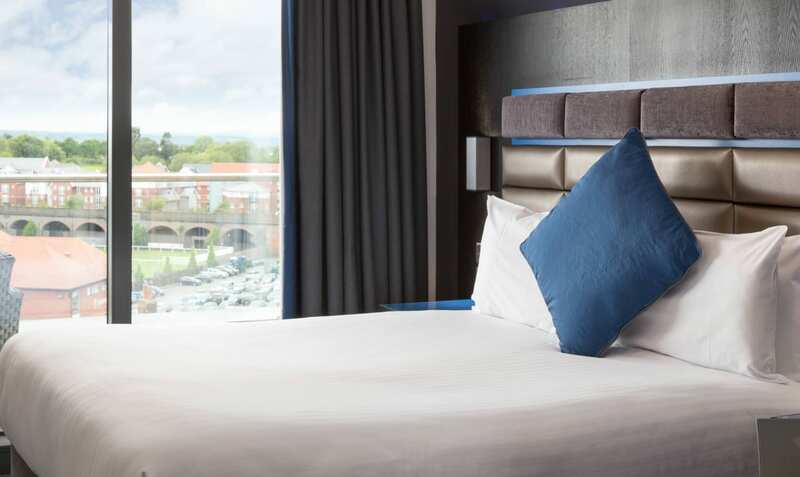 Road closures are in effect on race days, so please speak to the hotel prior to arrival if you require more information. 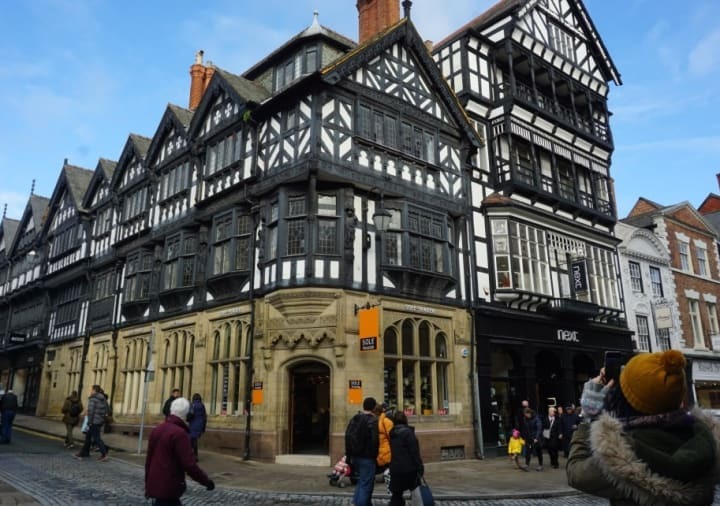 - 20 minute walk from Chester train station. 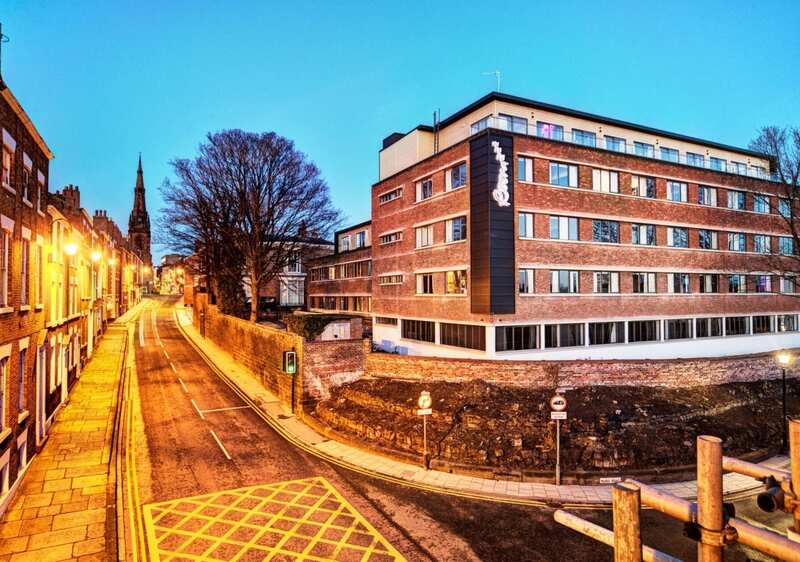 - 10 minute walk from the bus interchange. 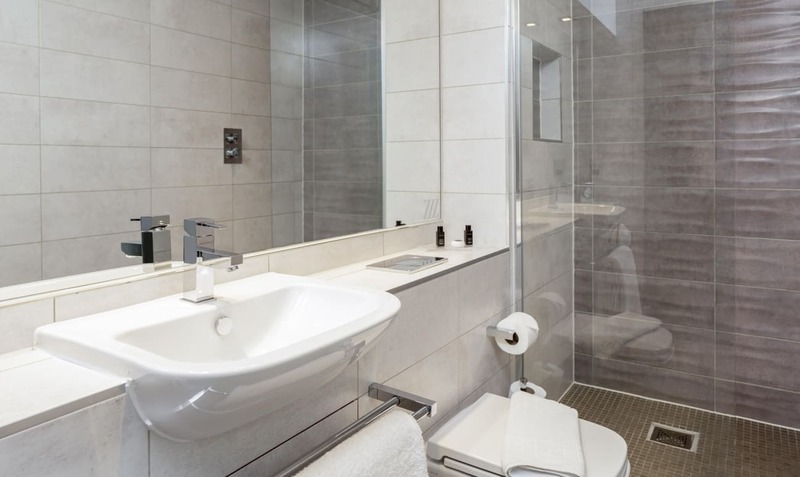 - Liverpool John Lennon Airport is 10 miles away. 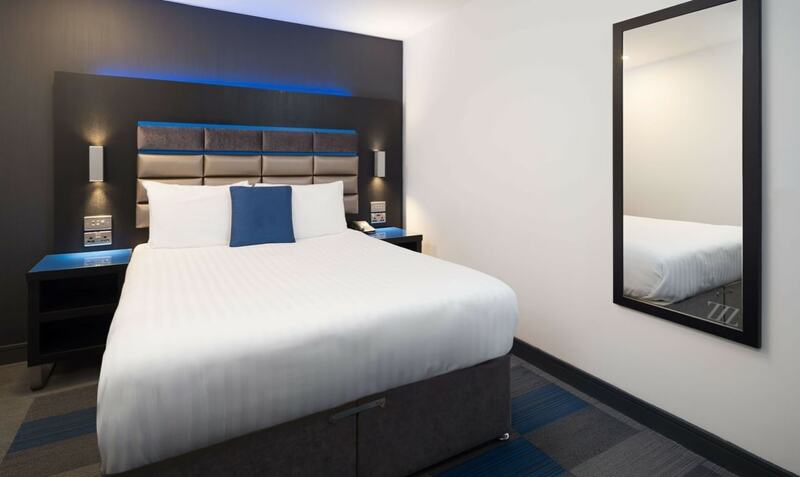 Chester has a style all of its own, so it was only fitting we created Roomzzz Chester City to match. 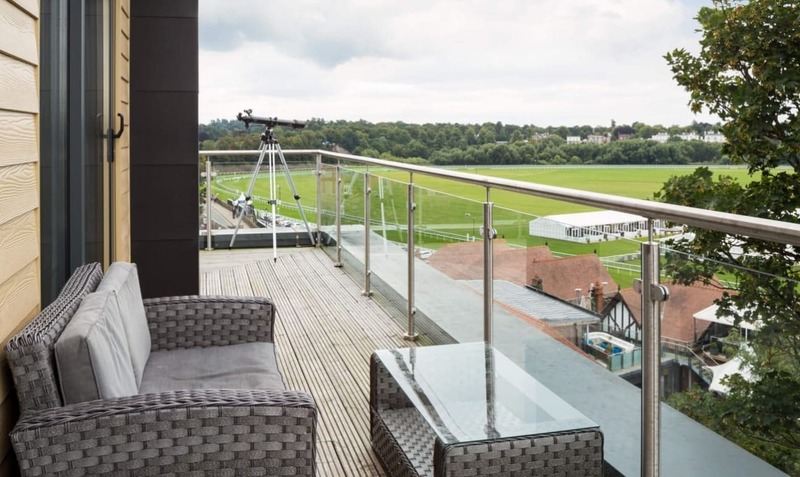 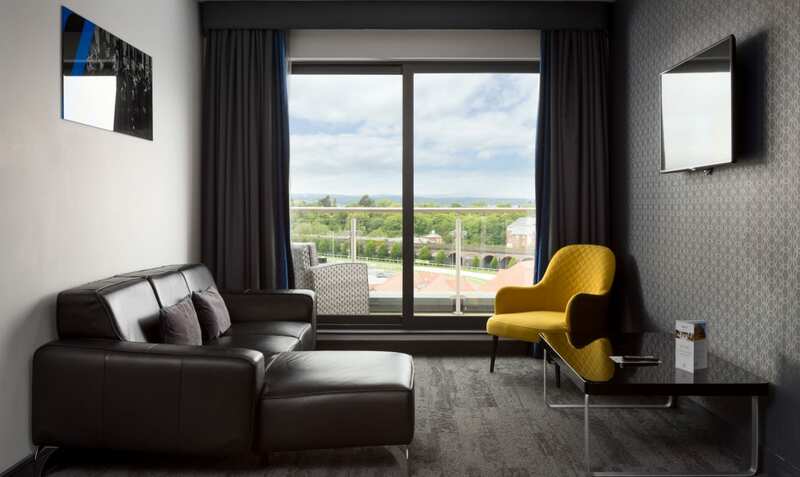 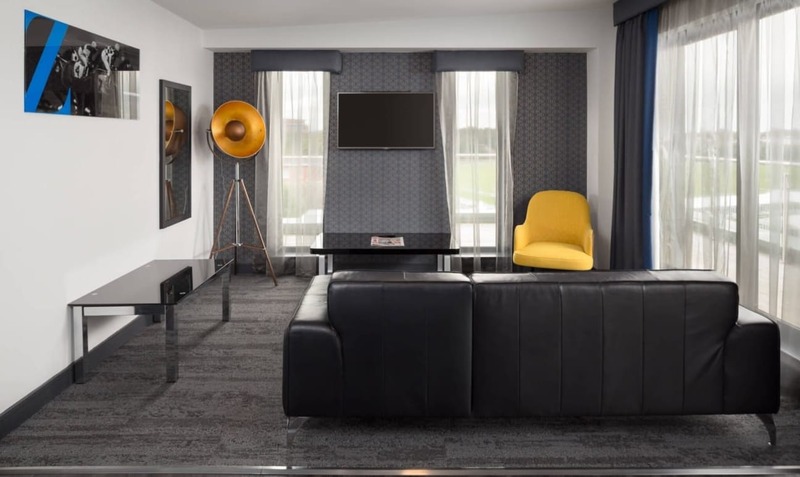 There are 64 modern, spacious serviced apartments to choose from, including five stunning Penthouse Suites with their balconies overlooking the famous Chester Racecourse – perfect for when you want to treat yourself. 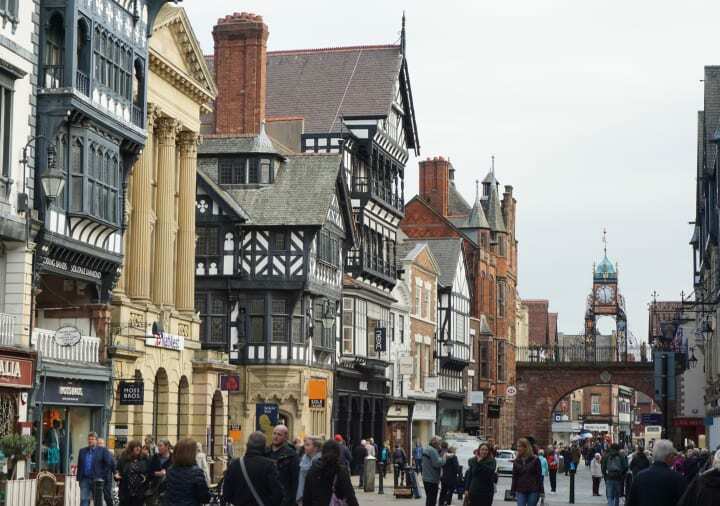 Few hotels in Chester City Centre can boast our location that’s just a couple of minutes’ walk from all the action. 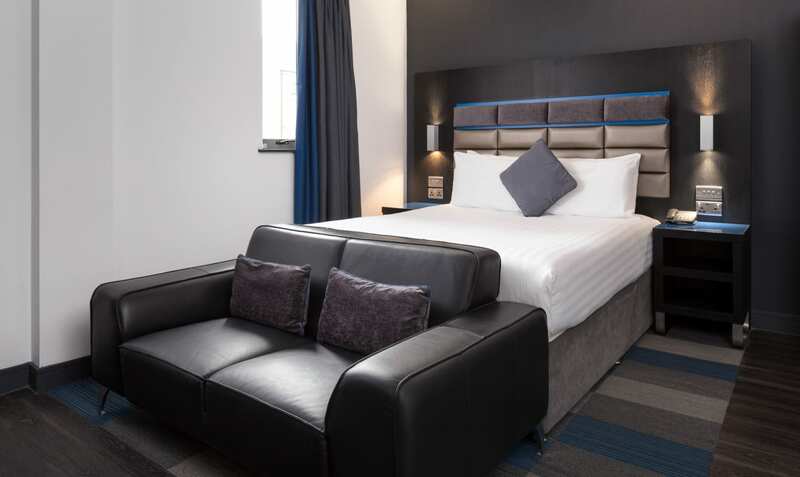 And that convenience combines perfectly with style and comfort at Roomzzz Aparthotel Chester. . 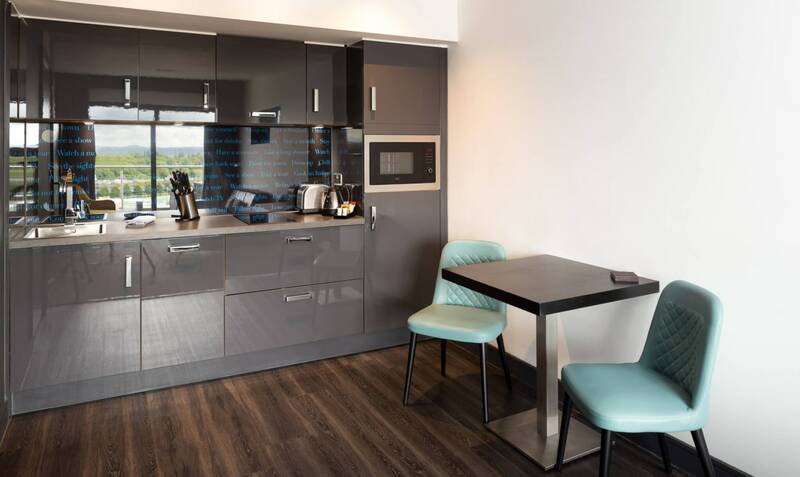 If you’re after a compact, stylish and quirky city base that’s got everything you need – and a few added luxuries you wouldn’t expect (like a fully-fitted kitchen!) 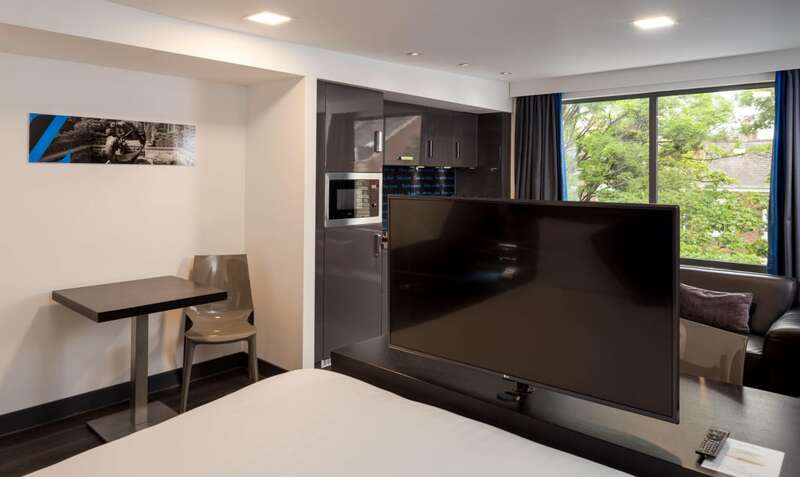 – this serviced apartment ticks all the boxes. 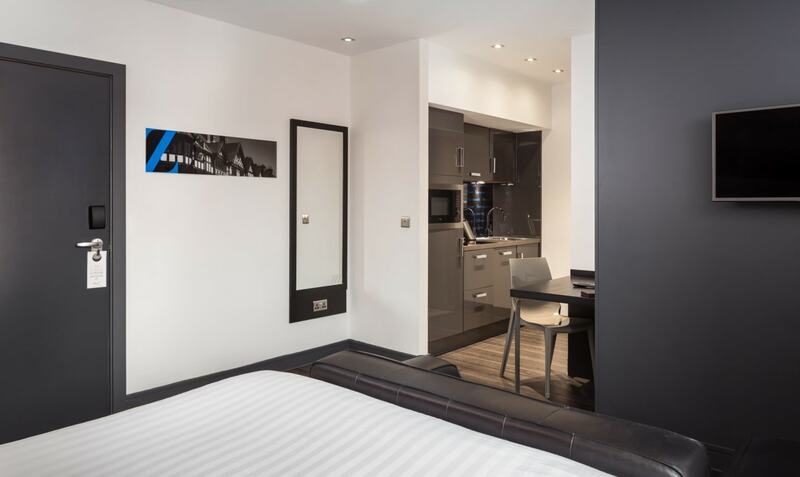 We’ve taken our Smart Studio and stretched it, so you get more luxury and more room. 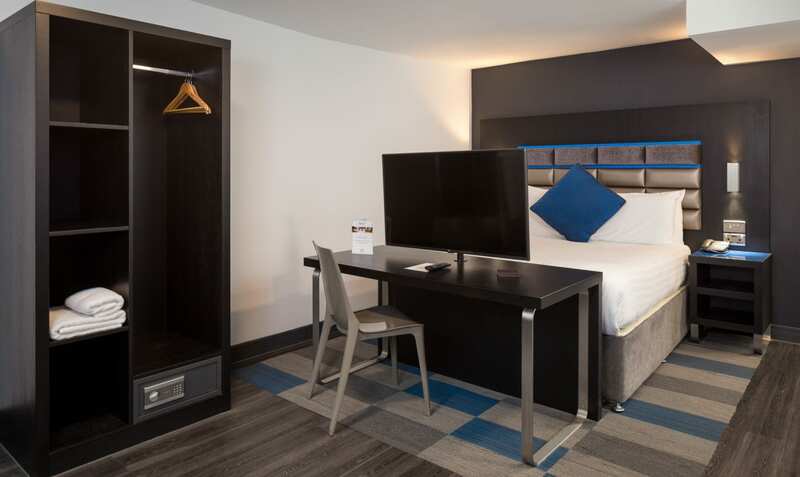 For families, there’s our Grande Plus Studio with a Z bed for the kids. 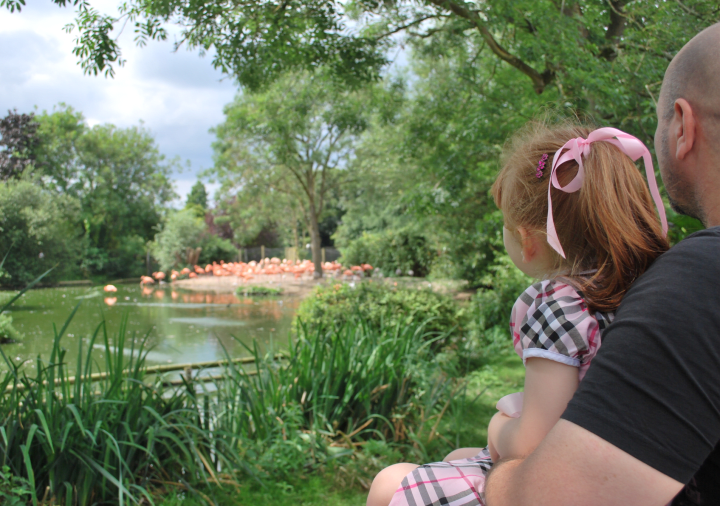 Having a kitchen to heat milk or make the kids a snack can be a real godsend.